Houston Stained Glass is proud to offer our custom stained glass services for churches, homes, and businesses throughout the Beaumont area. From minor stained glass repairs to custom-tailored religious stained glass panels, we’ve got you covered. Our team of local stained glass artisans thrive on creating one-of-a-kind stained glass pieces for you to treasure. Privacy stained glass provides the most effective and stunning solution for Beaumont homes. We can create stained glass that fits into any design theme you currently have or that you’d like. With endless creative options, colors, styles, and designs, you can actually improve curb appeal and property value by investing in stained glass. Great for bathrooms, bedrooms, kitchens, entryways, hallways, dining rooms, living rooms, and more, custom stained glass can transform any existing space offering a beautiful piece of art. Houston Stained Glass specializes in creating custom religious stained glass for Beaumont churches, cathedrals, chapels, and other houses of worship. Stained glass has always been a traditional medium found among churches for many centuries– continue with this successful tradition by creating your own custom religious stained glass feature! From biblical quotes to symbolic imagery, showcasing whatever’s meaningful to you and your church is possible. Our accredited restoration process is vital for the proper preservation of any antique stained glass you may have. Restoration typically is required for religious stained glass that’s reached the 75 years to 100 year age range. When timed correctly, restoration is highly successful in preserving value, enhancing quality and aesthetic, as well as adding another century of life. For those that have beautiful antique stained glass within their homes or businesses, restoration is also available for your pieces. Beaumont offices and businesses can all utilize stained glass for numerous applications from a beautifully unique visual marketing tool to attracting new clientele. Commercial stained glass can add authenticity to your establishment, offer privacy for a better customer experience, and much more. 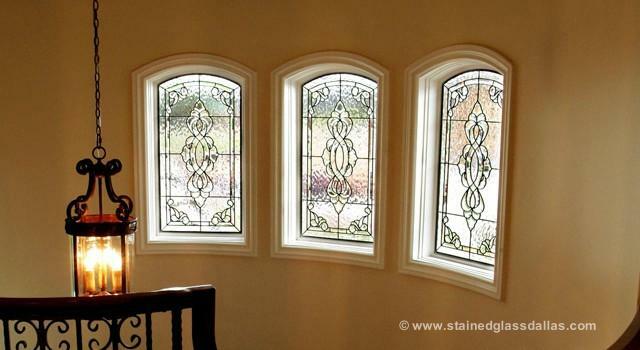 Houston Stained Glass is happy to help with your next stained glass project! Whatever your stained glass needs may be, we can provide unparalleled custom stained glass services that enhance any space.